Performed by Shankar Mahadevan, Hemant Brijwasi, Shehnaz Akhtar, Sahil Akhtar & Ehsaan Noorani. 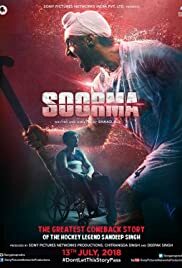 Soorma (Warrior in English) is a biographical sports drama film based on the life of hockey player Sandeep Singh. The film is co-written and directed by Shaad Ali. 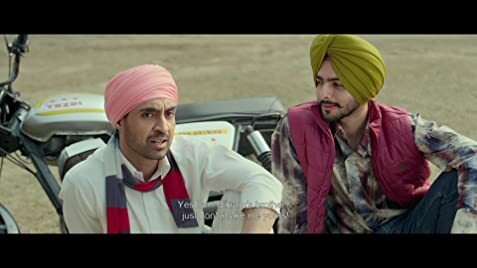 The film depicts the extraordinary story of the international hockey player Sandeep Singh (Diljit Dosanjh), through his first step in hockey, his love life, his surprising rise in the world of hockey, and mainly the accidental gunshot injury which paralyzes him and puts him in a wheelchair. This fateful catastrophic event completely breaks him and his dreams, but against all odds, Sandeep gets back on his feet and makes the greatest comeback to international hockey. Along with Diljit Dosanjh, the film also stars Tapsee Pannu as Harpreet, a really good hockey player, Sandeep's love interest, and the sole reason for Sandeep to learn hockey. Angad Bedi as Bikramjeet Singh, who is playing Sandeep's kind and supportive elder brother. And Vijay Raaz as Harry, Sandeep's stubborn and quirky Coach. Unlike most other real-life sports films, this one is not just only about a struggle and rise, but it also tells the story of a fateful fall and an epic comeback. The story is good and inspirational but is crunched in the runtime of just two hours. 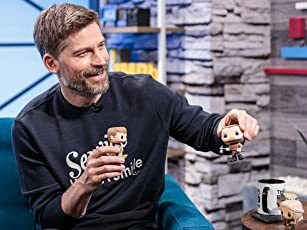 The movie was high on content and drama that it could have been made of at least three hours, which would have let some really crucial moments to breathe and would have been much more impactful to the audience. The first half of the film almost make audiences remember the storyline of Sultan (2016). The film definitely gives Chak de! India (2007) and Bhaag Milkha Bhaag (2013) vibe to the audience but does not reach that level of maturity and sincerity. The performances by all the actors are really good, no doubt in that. The film definitely inspires throughout its runtime, and finally treats the audience with the India-Pakistan match. Verdict : The film is worth to watch, has some little flaws but can be neglected.